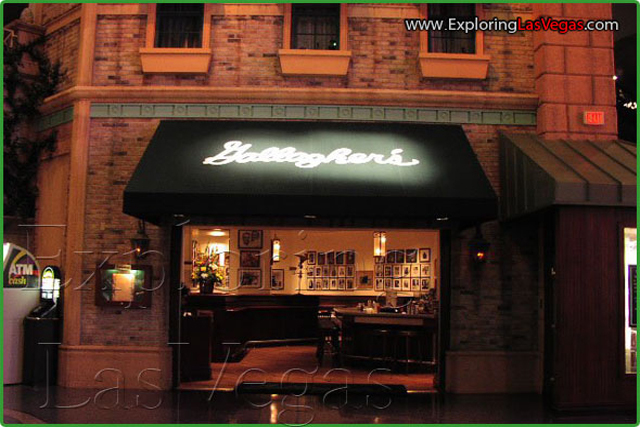 Gallagher's Steakhouse at New York-New York is truly a haven for meat and potatoes types of eaters. The original Gallagher's Steakhouse opened in New York City in 1927, but has lost none of its sizzle in the trek out west. The display windows at Gallagher's Steakhouse allow diners to see many racks of aging prime beef. 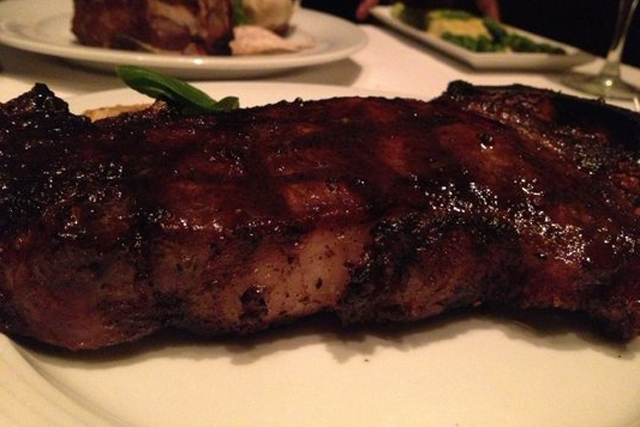 Every bit of beef served at Gallagher's is air aged for 21 days. This prepping makes for a delectable steak. Other hearty foods offered at this steakhouse include chops, fish, seafood, hash browns and more. Some of them may even be better than those you grew up on, but don't mention that to your mother! Mesquite grilled steak or one of the seafood specialties could make good entree, depending on your taste. You'll have some difficulty deciding which side dishes to pair with either choice. Onion rings are a classic choice, but asparagus with Hollandaise sounds excellent as well. If you're in the mood for a New York sirloin (you are in New York-New York, after all) try Gallagher's aged bone-in sirloin. Absolutely delectable. The famed décor of the original steakhouse has been replicated at New York-New York. This includes photos of Babe Ruth, Broadway stars of the ‘20s and more. It is a fantastic, atmospheric place to eat like a cowboy. Just come prepared to eat with relish.